Shimmering, faceted 9x14mm Czech Glass Rondelles in Matte Metallic Honey Gold are the scene stealers in these lovely vintage style earrings. 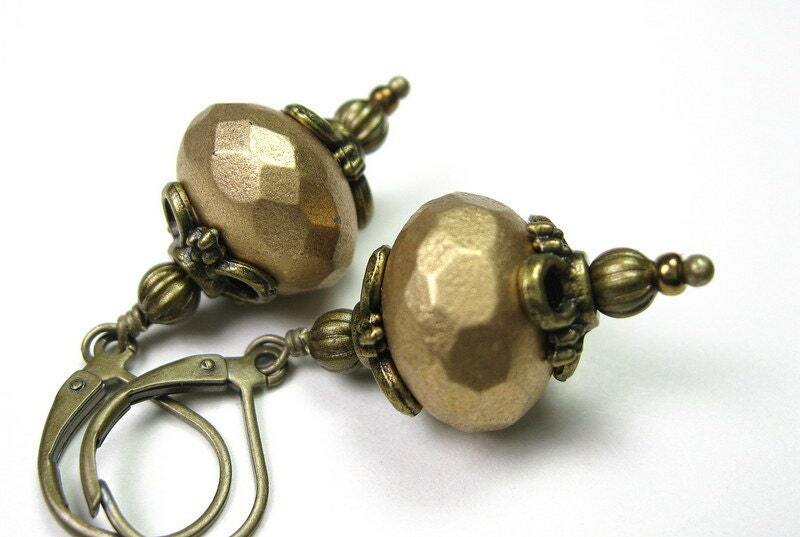 The beads are nestled between antiqued brass bead caps and melon beads. Earrings dangle approximately 1.75 inches (44.45 mm) from the tops of the lead and nickel safe antiqued brass lever back ear wires.